Please call Chuck at 914-643-6798 Boat Location: Tampa, Florida. 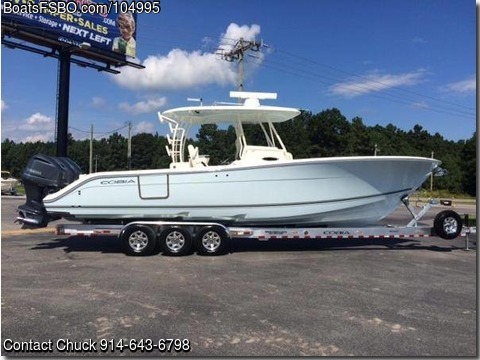 For sale I have 2019 34 Cobia that is fully equipped and fish ready. The boat can seat up to 13 persons, will come with twin 42 gallon bait wells, 2 in floor fish boxes, sink and bait prepping stations, below-deck hidden locking rod storage, and much much more. If you have any questions, Concerns, or just want to make an offer call (9I4) 643 6798 and ask for Chuck!